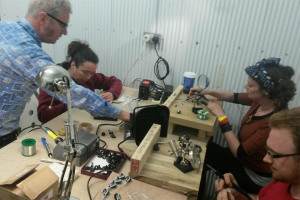 Sustainable Bridges Makerspace will offer low carbon innovators affordable access to prototyping tools, supplemented by entrepreneurial learning sessions to transform ideas into viable businesses. This project was funded on 02 Oct 2015! 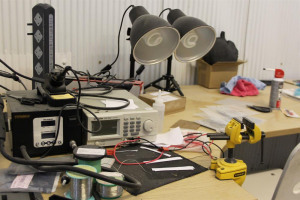 Central to many start-up and innovators’ endeavours is the need to build, test and refine prototypes. 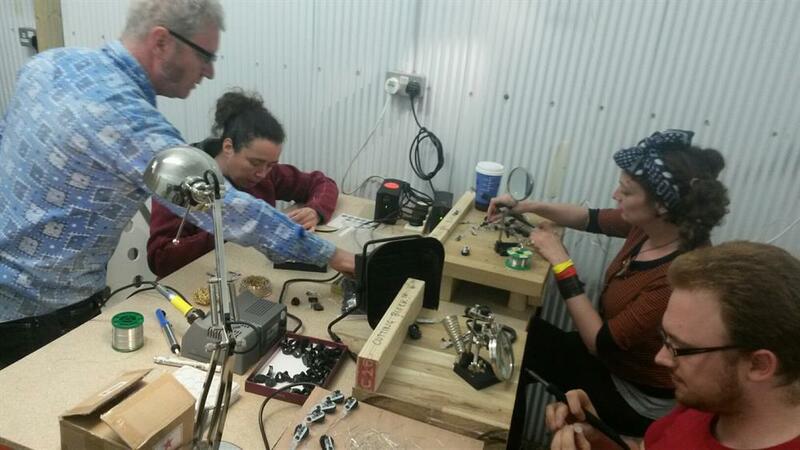 By providing these groups, and makers more broadly with a range of tools on an affordable and flexible basis, in addition to the workspace Sustainable Bridges can offer, will enable and better support more individuals to develop their pioneering ideas into viable businesses. 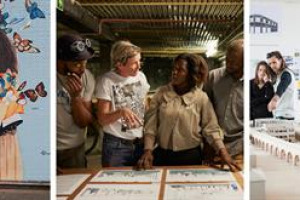 Sustainable Bridges will supplement access to the shared resources of the makerspace with a tailored series of Entrepreneurial Learning sessions, delivered by industry experts to ensure innovators are equipped with the commercial acumen necessary to transform their ideas into sustainable businesses. 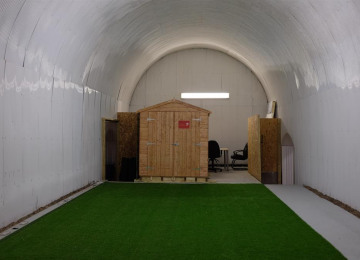 The makerspace and ancillary services will be open to members of Sustainable Bridges as part of their membership, but also to members of the public on a subscription basis to enable more people to enjoy the project’s benefits and thereby achieve even greater resource efficiencies for the investment made. 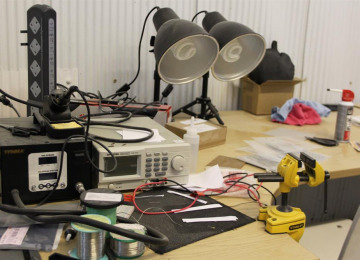 Purchase a range of tools that enables various prototyping endeavours across woodwork, digital and electronic purposes. Central to London’s ambitions to retain its status as a hub for entrepreneurial endeavours lies its ability to provide disruptive innovators with the tools, knowledge and connections to transform their initial ideas into commercially profitable businesses. With a booming real estate market, access to flexible workspace is becoming increasingly limited in central London. 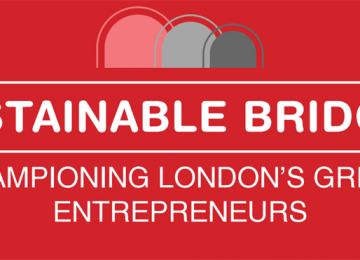 By creating a Makerspace complete with affordable access to facilities, Sustainable Bridges enables innovators to enjoy the advantages of a central London location, with close proximity to other ecosystem stakeholders and potential investors. By renovating and unlocking existing space, the project contributes to the regeneration of the London Bridge area, but will do so in an inclusive manner enabling a more diverse business community. 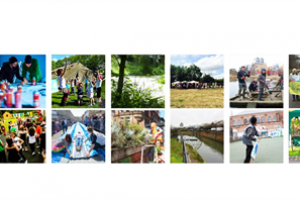 The development of a more vibrant thoroughfare between Tooley Street and Bermondsey Street is also supported by bringing new activities to the area. Entrepreneurial learning centre design finalised. Sustainable Bridges, a community interest company, will use the creation of a makerspace to further support its social objectives to accelerate the growth of SMEs with a low carbon and sustainability focus by providing those with hardware and prototyping requirements with the space and facilities to realise their ideas. 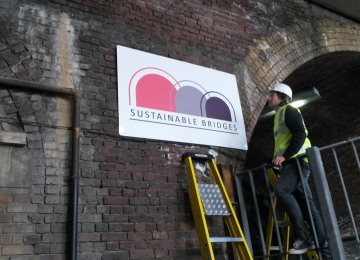 Since opening its doors to low carbon SMEs and innovators in January 2015 Sustainable Bridges has built up a membership of 40+ individuals, which is hopes to continue increasing to create a hub for low carbon innovation. By both nurturing and championing the efforts of innovate SMEs, Sustainable Bridges will enable an accelerated transition to a low carbon economy. 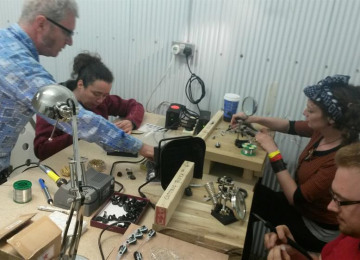 Therefore the addition of a makerspace will further extol the advantages of shared resources and networks in a cost-effective manner with makerspace users able to benefit from engagement with the Bridges’ wider community. 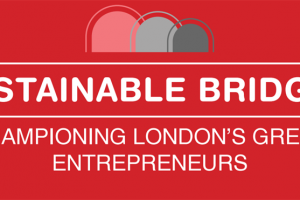 Established in October 2014 as a community interest company, Sustainable Bridges C.I.C aims to accelerate the growth of SMEs with a low carbon and sustainability focus based in the London Borough of Southwark. 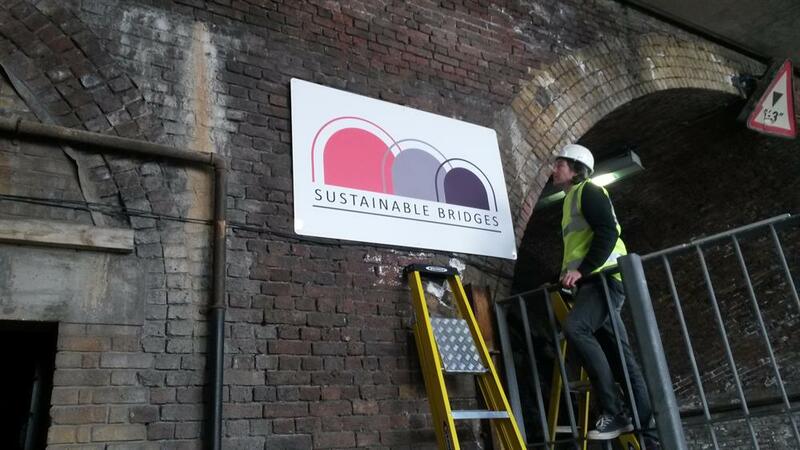 Following successful negotiations with Network Rail, Sustainable Bridges has renovated four railway arches at London Bridge. 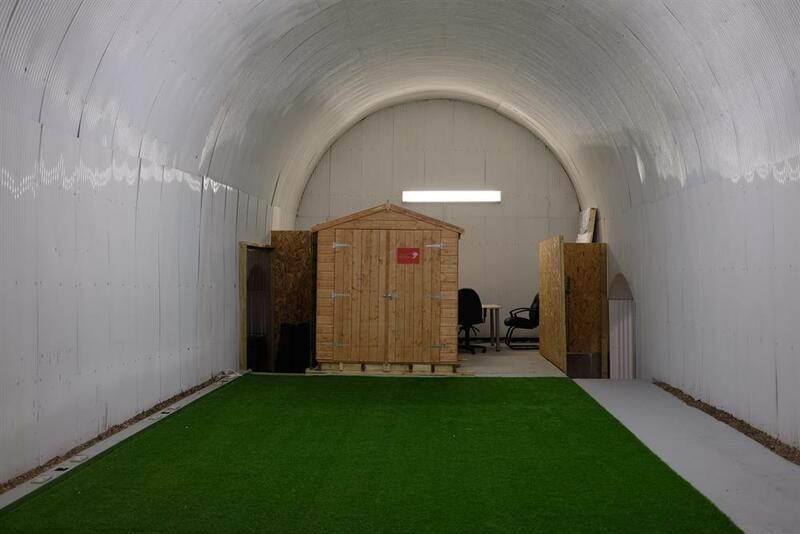 This entailed the successful transformation of 630m² of vacant industrial space into a vibrant workspace tailored to the needs of low carbon SMEs and innovators. Adopting a bottom-up ethos; for entrepreneurs, by entrepreneurs, Sustainable Bridges provides flexible and affordable working space, incubation and networking services. This allows beneficiary companies to attract inward investment to the area, increase SME revenue, create new employment opportunities, and accelerate the transition to a low carbon economy. 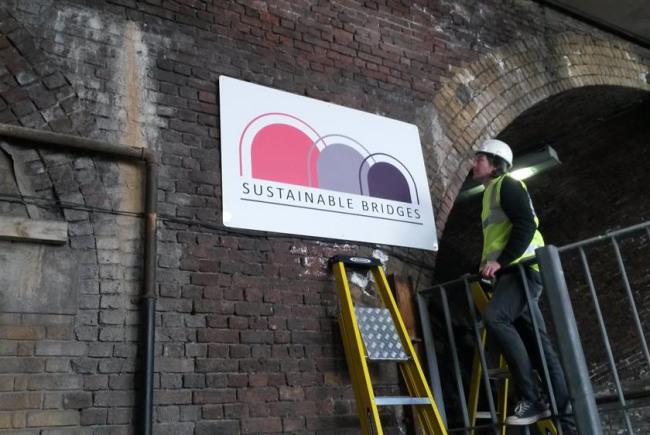 Since the first members entered the space in January 2015, membership at Sustainable Bridges has steadily risen to over 40 individuals with 10 ventures now operating from the site. 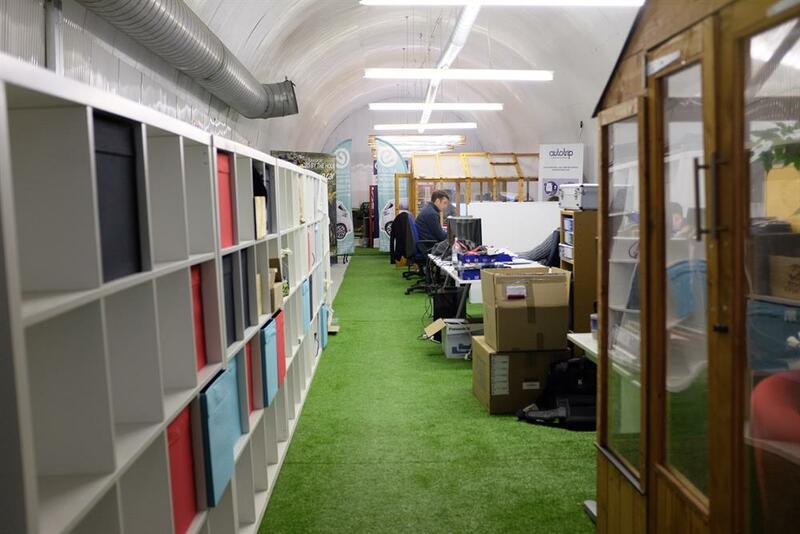 By harnessing the advantages of co-working and shared resources, Sustainable Bridges enables more talented entrepreneurs and pioneering SMEs to share in the advantages of a central London location and benefit from each other’s’ knowledge and experience. 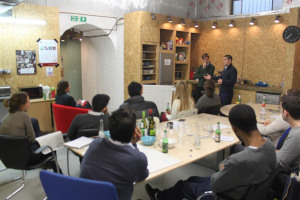 In addition, by delivering a series of events designed to disseminate entrepreneurial learning, Sustainable Bridges furthers facilitates knowledge transfer and maximises the opportunity for members to build their connections. Here, Sustainable Bridges’ Management team have leveraged their extensive connections across the cleantech and entrepreneurial sectors to strengthen sector-wide engagement, drawing on connected experts to deliver learning sessions. 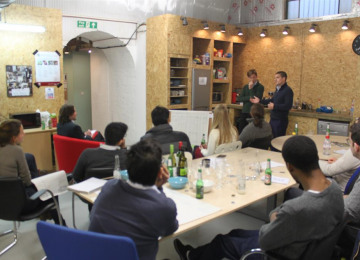 Collectively, by building a hub for sustainability entrepreneurs in the heart of London, leveraging the benefits of co-working along-side entrepreneurial learning sessions to support ventures through the hurdles of early stage development and then championing their role in driving the transition to a low carbon society, Sustainable Bridges is successfully delivering multiple social, environmental and economic benefits to London, to Southwark and crucially to aspiring innovators. 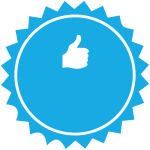 From here, Sustainable Bridges seeks to extend the benefits it is generating to benefit more low carbon ventures and their members. Project Delivery Manager: Sustainable Bridges CIC The Project Delivery Manager takes legal responsibility for receiving and spending the funds raised and ensuring the project is delivered. Contractor: Sustainable Bridges The team responsible for building or installing the project.